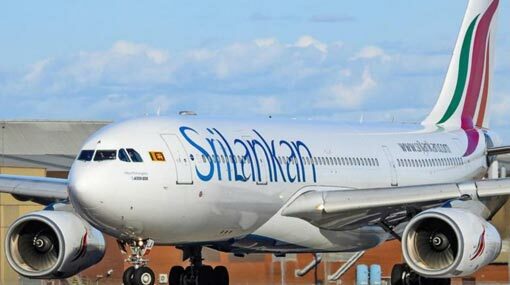 SriLankan Airlines flight UL504 from London to Colombo on 24th/25th March was diverted to Bucharest, Romania, due to a passenger’s medical emergency, stated SriLanka Airlines issuing a media release. “In keeping with SriLankan’s corporate policy of placing the safety of every single passenger above all else, the captain took the decision to divert to the nearest airport and alerted airport authorities at Bucharest’s Henry Coanda International Airport”, read the release. The A330-300 aircraft was several hours into its flight from London Heathrow when the female passenger experienced difficulties in the early hours shortly after midnight. Upon landing, airport medical personnel immediately boarded the aircraft and provided medical assistance to the passenger, who was suspected to be suffering from kidney failure. SriLankan Airlines reports that the passenger’s situation was stabilized. Therefore, the 195 passengers who were traveling on the flight were provided hotel accommodation in Bucharest while the crew rested for the time period required by international regulations. The flight will continue on to Colombo as soon as possible affirmed the airline.